Container gardening is key to successfully gardening in the city. No matter how busy you are or how limited your yard, a beautiful container situated near the front door or back patio will help highlight, accent, and jazz-up your urban garden with color and pizzazz! A drab-looking porch, patio, balcony, or driveway can be transformed with the addition of flowering container gardens! Once you have the container and the proper soil mix for your urban container garden, it’s time to plant. Container planting requires some special considerations. Make sure your pots are clean. 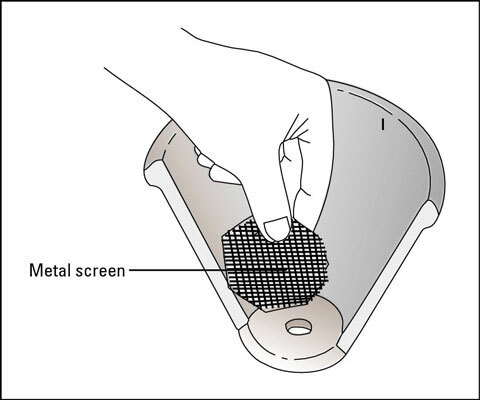 Check your pots to ensure they have adequate drainage holes in the bottom. If a pot doesn’t come with enough holes, use a hammer and nail or drill to create more. Cover the drainage hold with window screening, cheesecloth, or landscape fabric. Fill the container about two-thirds full with your selected container soil. 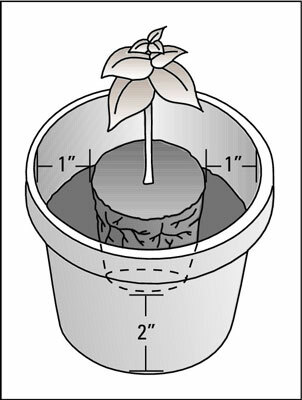 Take the seedling plant you grew or purchased from a garden center and pop it out of its plastic pot. If it’s in a biodegradeable peat or cow pot, simply break apart the bottom of the pot with your hands, then plant it, pot and all. Keep the root ball intact. Select a Container at least 2 inches deeper and 2 inches wider than the original pot so the plant will have enough room to grow. It’s important to select the right-sized container for the plants you wish to grow. Smaller-growing annual flowers, such as alyssum, narrow-leaf zinnia, pansy, dwarf marigold, and viola, will grow fine in a 2-gallon containers. However flowers that reach a height of 2 to 3 feet need at least a 3- to 5-gallon container. Groupings of multiple plants may require something even larger. Be sure to read the labels when selecting the right-sized plants for your containers. Plant your seedling at the same depth it was growing in the original pot. The exception is tall, leggy tomatoes that can be planted deeper because they form new roots along their stems. Fill the container with soil to within a few inches of the top. If it’s a small pot, consider placing it in a tub or basin filled a few inches deep with water. Let the pot sit in the water until it has slowly soaked up enough through its drainage holes to make the surface of the soil moist. When planting berry bushes, trees, and shrubs in containers, water from the top slowly so the water has a chance to permeate the soil medium. Water once, let it sit for 10 minutes, then water again. When the water comes out of the drainage holes on the bottom of the pot and the medium is moist when you poke your finger into it, it’s all set. Bottom watering is best used for plants that don’t like to get their leaves wet, such as African violets. Water on the leaves can cause staining and rot. Set the plant in its desired location.